1. Your target audience is on Facebook. In 2012, Facebook was the first social network to surpass 1 billion monthly active users. Less than five years after that milestone, monthly active users on Facebook have more than doubled to over 2 billion users worldwide. With numbers like these, you can bet that your customer is on Facebook. The degree to which they use it may vary, but there is no doubt that they do. 2. A global network provides opportunities for global reach. Facebook is a global network and its user base spans worldwide. This is a great opportunity for any business already operating on an international level, or any business setting themselves up to make the move to international. Not only that, but a global network also provides you with viewpoints and perspectives from all over the world. You never know which insights might inspire your next successful product. 3. Organic reach has declined over the years. “Organic reach” refers to the amount of people who see your posts on Facebook through unpaid distribution. With an ever-increasing amount of content being published, plus updates to how Facebook’s algorithm shows content, organic reach has declined over the years – especially for business pages. 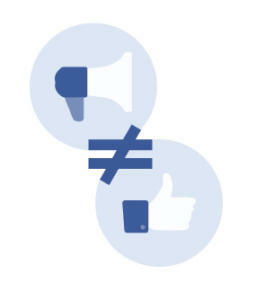 In 2012, page posts were only reaching about 16% of those who liked the page on average. By 2014, organic reach for an average Facebook Page dropped to 6.5%. Most small businesses don’t have the bandwidth to spend all their time growing a Facebook following organically. For them, and for many businesses, a combination of posting and paid promotions is a more effective approach. 4. Get more with a smaller budget. 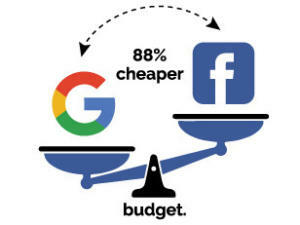 Although gaining large success on Facebook has become more of a “pay to play” situation, the good news is that you can do a lot with a smaller budget. Google AdWords can be a great addition to your advertising strategy; however, your PPC budget usually needs to be relatively high in order to make an impact. On the other hand, Facebook Ads tend to be approximately 88% cheaper than AdWords, which means you can compete even on a small business budget. You can also boost a post on your page for small amount and reach a lot more people than you would otherwise. 5. Boosted Posts and Facebook Ads are different things. There are plenty of paid options for advertising on Facebook. Two of the biggest are Boosted Posts and Facebook Ads. Although these are both a form of paid advertising, they are two different things. Boosted posts are posts you have published on your page that you can then “boost” to reach more people in a specific audience by paying to promote it for an amount you choose. This helps that post show up in more user feeds to get more exposure. Boosted Posts show up in the news feed as “sponsored” posts and can also show up on Instagram. Facebook Ads, however, come in several varieties. These are ads you create for a specific goal and target to defined audiences. After choosing a budget, these ads show up in news feeds as “sponsored” posts, but can also show up in the sidebar and other areas around the Facebook platform. 6. Make sure you completely fill out all sections of your business page. Your Facebook Business Page will have a lot of real estate to cover. Make sure you fill out every section. Not only will potential customers use the page to explore more about your business, but the page itself also becomes a web property associated with your brand. It has the potential to show up in search results to increase both brand awareness and traffic to your website. 7. Get the verification badge. Establishing your business online is all about trust. You need to create trust signals pointing to your businesses – things people can reference to help them determine that, yes, your business is real and it is legitimate. 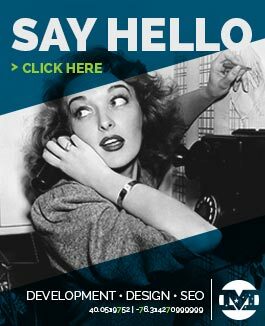 A professional website is a good start. Social profiles featuring valid contact information are a great addition – especially if they are verified by the platform. 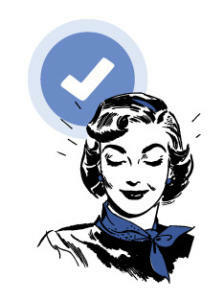 On Facebook, you can get a verification badge for your page. This adds yet another level of legitimacy to your business online. 8. 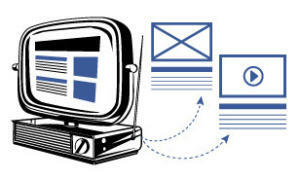 Cross-link with your website. Once your Facebook Business Page is set up, make sure you establish a link between it and your website. You’ll want to make it easy for users to jump straight to your website from your Facebook page and vice-versa. After setting up your page, the next step is to start posting updates. Make sure that when someone visits your Facebook page they see some recent activity. If someone unfamiliar with your business visited your Facebook page and didn’t see any recent activity, they might wonder whether your business is still active. Consistent posts help build your following and reach over time, and they also ensure regular engagement on your page. 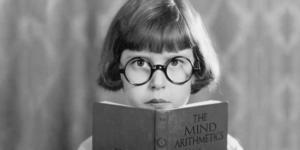 As you post updates, vary them to test which work best for your audience. Image and video posts are popular and highly engaging content types that make great Facebook posts. You may find your audience prefers to interact more with these than any other post. Your audience may also interact with text posts as well. Plus, by varying your posts, you give visitors to your page an opportunity to see a variety of content, instead of seeing a “sea of sameness”. 11. Keep it conversational and focus on community. 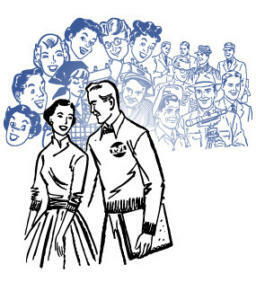 Facebook is, first and foremost, a social network. It’s meant for connection, conversation, and community. Keep this in mind as you are planning out your posts, and keep things conversational. You want to make connections with customers and engage with them. Because of the community nature of social media, you need to provide value first before expecting a return. This also means your posts cannot always be all about you. You need to help your customers with information they will find valuable as well. 12. Facebook Page Insights provide valuable data. Having a Facebook Business Page also gives you access to the “Page Insights” tool. This tool provides analytics about your page. You can see how your page views, reach, likes, and engagement have changed over time. You can also track promotions, view their results, dig in further to specific post performance, and more! The Page Insights tool provides a wealth of valuable data to inform your current and future strategy on Facebook. For help with social media for your business, contact us for the meeting of the MINDs today!